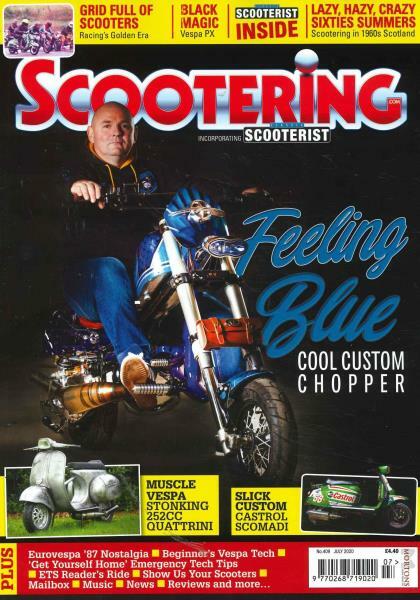 There are a number of magazines out in the market that talk of several bikes and cars but one magazine that talks only and only about scooters is the Scootering magazine! And not just love but completely adore them. Scooters have been a popular all over the world; these light zippy vehicles have a style and a class of their own. The magazine has news about the latest scoots and also music and music events. It is a highly recommended magazine for every scooterist. What makes this magazine stand apart from the others is the quality of articles and the mind blowing illustrations. Editors and writers put in great effort to bring the best and the latest news edition after edition. Anything and everything you wanted to know about scooters you will find it here in this magazine. From the various parts to the accessories, this magazine reviews all of it. Test results of the new scooters and their reviews, how to articles and tips and tricks and examples of restoration make this magazine even more interesting. Love it and can't wait for the next copy to come out! It would be great if 'the best articles' could be collated for certain features. eg Into the Sunset or past interviews as bookazines - you have the material already. Hi, I currently receive the Scootering magazine, which I love and find very informative. I look forward to receiving it every month and am never disappointed when it drops on my mat. I have never encountered the delivery being late.